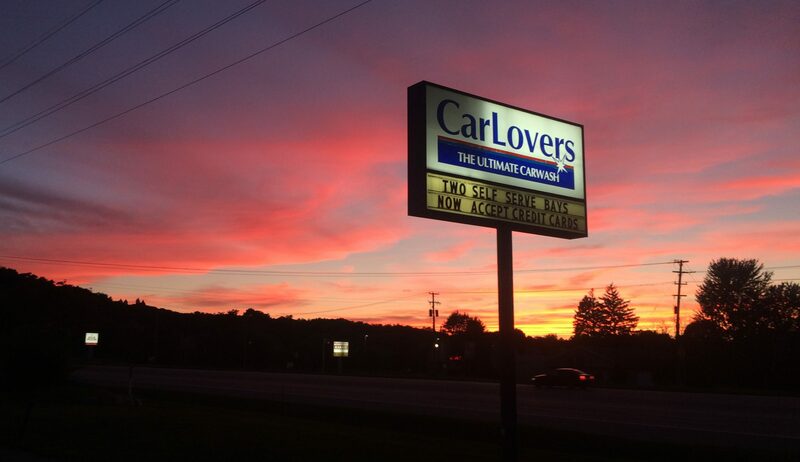 CarLovers is happy to introduce our new credit/debit card system now available at all of our carwash locations. We accept Visa and MasterCard only. We encourage you and your family to use your credit or debit card in all of our self service wash bays and Laserwash automatic bays. The new credit card readers are also being added to at least one specific vacuum at each location. Using your personal credit card is the simplest way to wash and keep track of your car washing expenses with our free receipt system available on our website. No additional fees, No hassles, just swipe and wash, its that simple. Get your receipts at your convenience any time of year and search for all past credit card transactions in one search. You can capture all of your card activity in a PDF form to print or save for your records. It is simple to use and receipts are available on our website 24/7. When Using a credit card in the LaserWash Automatic bay: Simply swipe your credit card, card is verified, Choose your wash package, sale is approved and you drive into the bay. No minimum charge when a credit card is used for the purchase of a wash in the LaserWash Automatic Bay. When using a debit card for the purchase of a Laser Wash package, pre-authorization or “pending” charges of $10 will apply to your account until the transaction settles with your bank for the actual amount of the wash package you have chosen. When using a credit card for the Vacuums: So simple to use – just swipe credit card and use the vacuum. Press button on swiper when finished. Vacuums have a minimum swipe charge of $2.00 equivalent to approximately 6-8 minutes. There is a minimum charge of $3.00 per swipe when credit card is used in a self serve bay. Our studies have shown that people spend on average at least 6 minutes or more washing their vehicle. 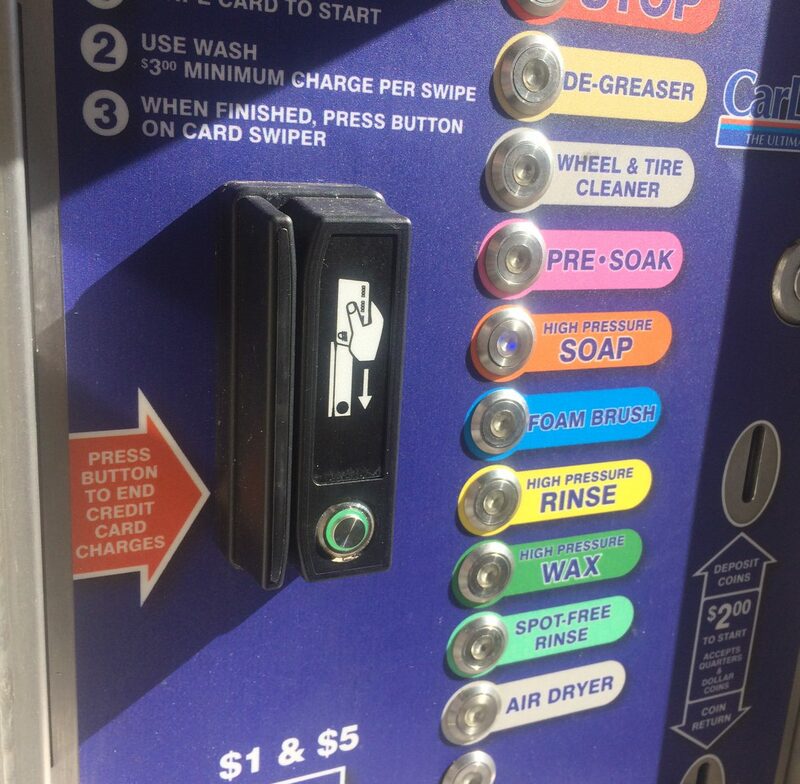 Plan to use the wash for at least 6 minutes when using your credit card in a self serve wash bay to get the full value of the service you purchased. ($3.00 is equivalent to 6 minutes of wash time) If you stop the meter short of $3.00, you will still be charged the $3.00 minimum. We recommend that you use at least the 6 minutes you have purchased with your credit card swipe before pressing the button on the swiper to end your credit card charges. This minimum charge is due to the fact that we have to pay the credit card companies and the credit card processor a per swipe fee along with a percentage of the total transaction fee. This minimum charge allows us to be able to afford to offer this service to our customers. Debit card users may see a pre-authorization of funds or “pending” hold of up to $10.00 on their account immediately after a wash is purchased until the actual dollar amount that was used has settled with the bank. This is out of our control. It is the bank that puts the hold on the debit card transaction to be sure you have money in the account to cover the transaction. The actual amount charged will settle as soon as two hours after the transaction and on rare occasions within a maximum of 1-3 business days and is very common with debit cards.